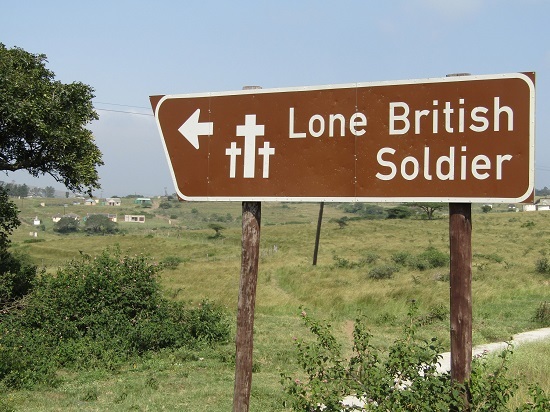 Of the many hundred British casualties in the decade-long Anglo-Zulu war, none is more intriguing than that of Private George Milne, a member of D Company of the Royal Scots Guards, who was killed “by accident” while his company was on the march to or from Eshowe on 19th July 1888. We know all this from the inscription on his gravestone, which also bears the information that the unfortunate Private Milne was 22 years old at the time of his death. 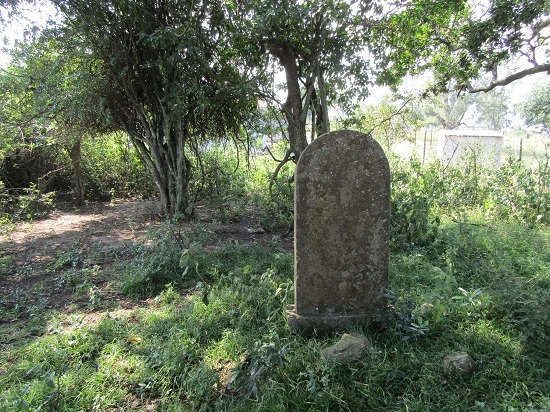 His grave lies a few kilometers outside Eshowe, on one of the roads that lead to Empangeni, but there is no clue as to what kind of accident befell the young soldier. His gravestone was erected by his fellows in arms.